Home Soccer Javi Martínez: "I do not know what will happen with Llorente"
Javi Martínez: "I do not know what will happen with Llorente"
The midfielder, who is also interested in Athletic for the month of June, launches on his friend from Tottenham: "What is good for everyone, hopefully that's it", slips from Munich. 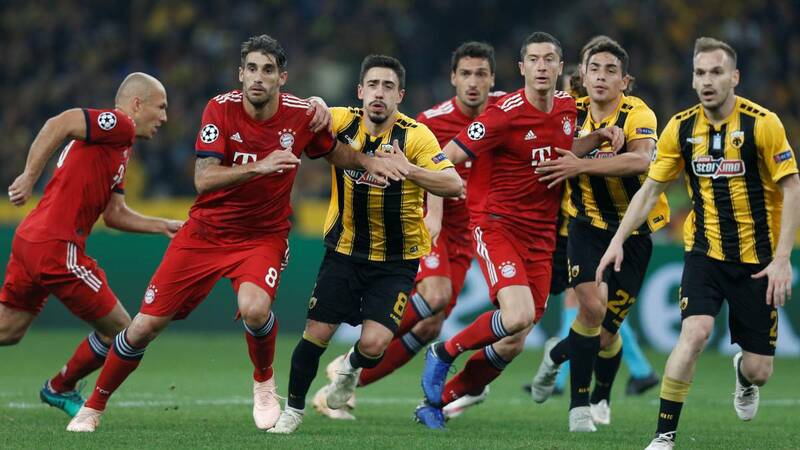 Javi Martinez is an asset of Bayern Munich, where he triumphs in the Bundesliga avoiding injuries and overcoming the tough competition in the bosom of the German champion. At Athletic do not forget and follow its daily news. A midfielder who is always wanted and who will try his return in summer by the new technical organization chart that Alkorta pilots. Tiene a great friendship with Fernando Llorente, object of the desire for this January in Bilbao, now buried by the injury of Kane: " I do not know what will happen to Fer. I have not talked to him for a long time; what is good for everyone, hopefully that's it ", he glides enigmatically. Analyze the take-off of the lions with Gaizka Garitano:" With the team you have you will go much higher; it will leave the place where it is , "Aiegi reflects. "When you spend six wonderful years in Bilbao it is impossible to forget you; you live many stories, I have many friends and that is going to stay forever, "he said in Radio Bilbao. Y suffers, he does not deny it, when Athletic loses pen in the League:" Yes, of course, when the calendar I lets try to watch the games, I follow a lot. The friends that I have in Bilbao are crazy about Athletic and they get bad-tempered, "throws Javi Martinez, who is destined to return to San Mamés.
" I know that Ibai is supercontent "
Javi Martínez is very friendly with" many of the players that are. The template has not changed so much, it's normal. There are quite a few, "he analyzes. With Ibai Gómez, the last lion that has returned to Athletic, slides the nanarro player, "I have a lot of friendship and I was very happy when his return was officialized. I know he is supercontent, "he acknowledges. His trips from Munich to Bilbao, also passing through his home in Aiegi, are constant when he has a hole in his agenda:" Whenever I can I make a break, I love it, to see my friends. The city is beautiful and I enjoy it ", underlines.